Brendon Julian is the anchor of Fox Sports cricket programming, a commentator, and host of Inside Cricket. A former Australian Test and One-Day cricket player during the 1990s, Brendon was a damaging 6’5” left-arm bowler and powerful lower-order batsman. Brendon won back to back Sheffield Shield titles with Western Australia in 1998 and 1999. Following his retirement in 2001, Brendon became a presenter on popular Channel Nine travel program Getaway and delivered sports on Nine News Afternoon Edition. 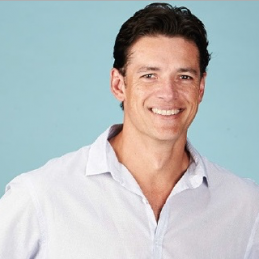 Brendon then moved to Fox Sports where he has become the network’s face of cricket, commentating on international and domestic cricket coverage. Despite being a culinary novice, he is a partner in an up-market fish and chip café in Subiaco, Perth. Brendon is a very popular and well-polished master of ceremonies. He has hosted all manner of events from sporting to corporate functions. Brendon lives in Perth with wife Suzanne and his daughter.